It is now confirmed that Showtime 2 will air a live stream from the Big Brother 12 house again this season. During Big Brother 8, Showtime 2 began airing three hours of live coverage from the Big Brother house from 12am to 3am Eastern.EW.com is reporting that Big Brother After Dark will air again this season on Showtime 2. Big Brother fans can tune in nightly from 12am to 3am Eastern for live, un-edited coverage from the Big Brother house. Keep your late nights wide open this summer, Big Brother fans: After Dark will be back! Showtime has confirmed that it will continue airing live, nightly feeds from the Big Brother house beginning July 8 at 12 a.m EST. This marks the fifth summer that CBS’ sister cable network has run the uncensored and uncut feeds, which have been a ratings success: After Dark has almost quadrupled the average numbers of viewers that Sho 2 typically attracts to the time period, when it usually airs movies (some of which are of the “adult” persuasion). Of course, you could always watch the live feeds 24/7 live online if you don’t have Showtime. 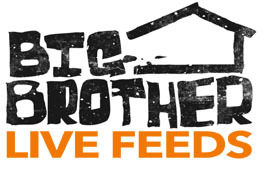 Why not try the Big Brother live feed free trial and re-live the excitement from past seasons with the replay feature. Plus catch plenty of post-BB11 content from the Rainbow Reality Reunion with past Big Brother houseguests.